Welcome. My name is Jimmy Cameron. Be sure to check out my Shreveport car dealer links page! Also learn how we can save you money on your next car deal! Interior Motives is a business I started to help people like yourself have an auto interior that looks new no matter what the age of your vehicle. We are a completely mobile team of auto interior repair and restoration specialists based out of Shreveport, La. We can come to you and repair nearly anything cosmetically wrong with the interior of your auto. 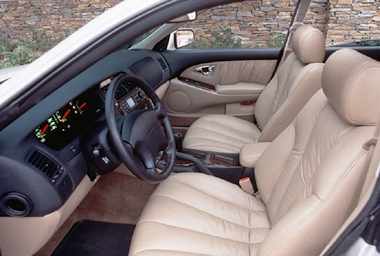 Car dealers are well aware that a super clean interior raises the overall value of a vehicle. You should be too! When you have a super clean interior, not only does the manager think you took really good care of it, he knows he's not going to have to spend any extra money and downtime repairing the inside. Therefore, he's going to give you more for it. How about an average of $700.00 more! And we're not talking about a couple hundred dollars to get your vehicle looking new on the inside again. Our average charge for repairs performed is only $43.00. That's it! Only $43.00! If you are trading or just want to refresh your interior, please give us a call and we will make the inside of your car look new again! Click picture for car dealers. Be sure to click on the picture for a page of links to local car dealers. Contact us by phone: 318/679-0079 or 318/671-9824. We promote 100% customer satisfaction! Please sign the guestbook or email me and let me know if the car dealer page has been helpful. Any questions, comments, or suggestions are greatly appreciated.